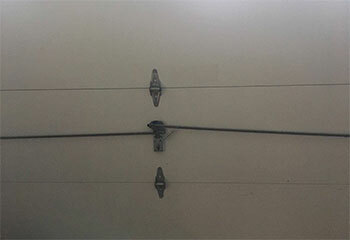 Always count on our team for the best garage door repair services, installation, and maintenance in Glendora. Scroll down to read about some of our latest projects and how our team offers you the finest services in town at reasonable prices. 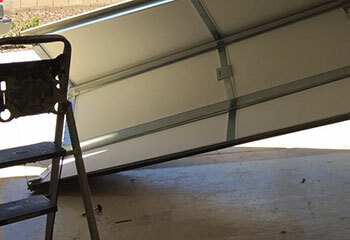 Customer Issue: This customer wanted to ensure that his kids would be safe near the garage door. 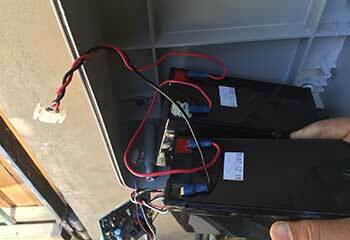 Our Solution: To make certain that Mr. McKinney’s garage door sensors were properly registering if something was under the door to reverse as needed, our team carefully measured across the doorway to align the sensors perfectly. The sensors were then tested to ensure they were safely functioning. Customer Issue: Wanted a strong garage door. 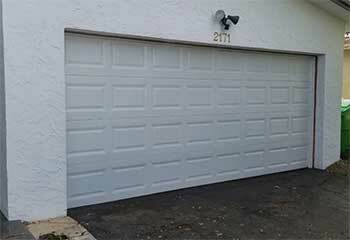 Our Solution: The customer was looking for a new door that could offer extra protection for his stored property. We presented him with a list of options, out of which he choose a Modern Steel Clopay garage door, which offered the level of durability he was looking for. We proceeded to install it for him and made sure there were no gaps left anywhere for burglars to exploit. Our Solution: After checking the condition of the tracks, we discovered they were slightly misaligned, which caused the rollers to grind against their sides every time the door moved. This has caused some extensive damage to the vertical sections, so we replaced them both to and made sure the door was in complete alignment. Customer Issue: Cables looking very frayed. Our Solution: During a routine inspection, this customer notices that his lift cables were looking very frayed, and he was (justifiably) worried they were about to break. We quickly came over and replaced them both, and then lubricated his torsion spring and made sure the door was properly balanced.